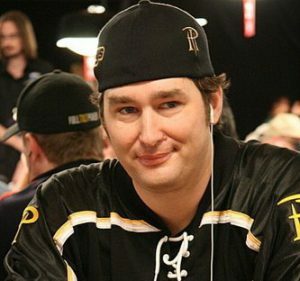 Poker Brat Phil Hellmuth has an ego large enough for him to describe himself as ‘the greatest poker player of all time. So it shouldn’t shock you that he also likes to share his opinions on himself and pretty much everybody else in a poker blog. So if you think you can’t wait to find out what Sir Phil has to say then his blog is the perfect place to find out. Phil Hellmuth is very good at keeping his blog up to date, since he started it in 2006 he makes regular updates with in depth insights into his poker sessions, his own family and just generally what’s on his mind. He frequently talks about his ‘burn-out’ and about him being stressed and having trouble ‘dealing with the fame factor that drives so many celebs over the edge’, yes we are still talking about Phil Hellmuth not Britney Spears. He doesn’t really always talk about himself though, his last blog in 2009 focused on other pro players like Doyle Brunson, Phil Ivey, Daniel Negreanu and other players. He talked about their wins and talents and congratulated them on their achievements, which we think is a nice touch. If you want to see the latest news from Phil Hellmuth’s official blog you can by clicking the previous link.